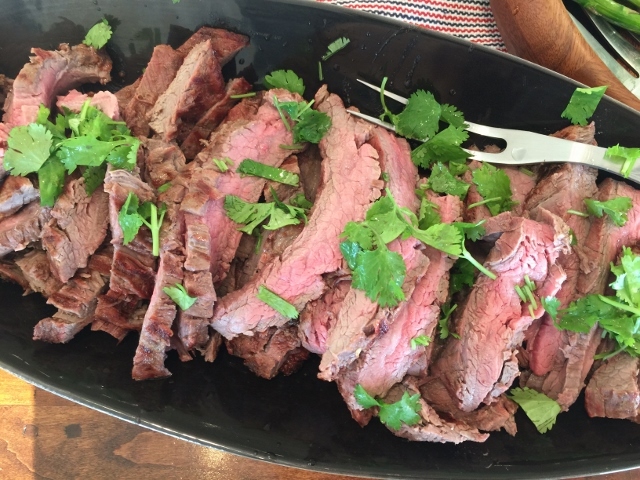 Grilled Ginger Flank Steak - Recipe! - Live. Love. Laugh. Food. 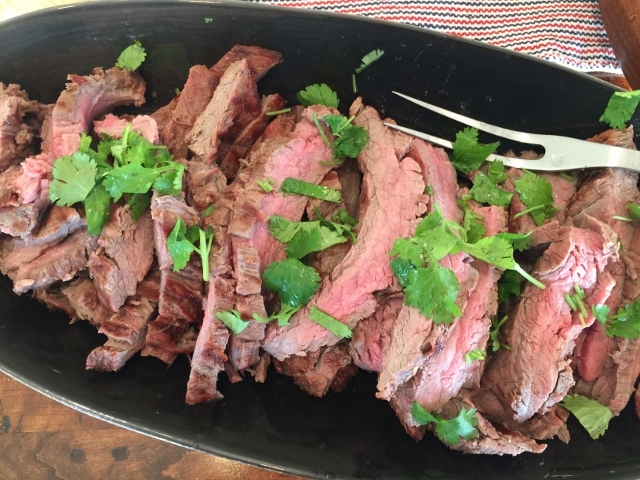 Grilled Ginger Flank Steak – Recipe! 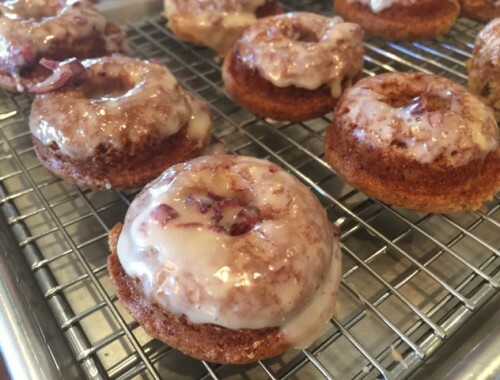 Grilling season has already begun, and for us here is Southern California, I don’t really think it’s ever out of fashion — but we do tend to kick it up a bit around this time of year. Grilling is an easy way to put together a meal that is both satisfying and full of flavor. 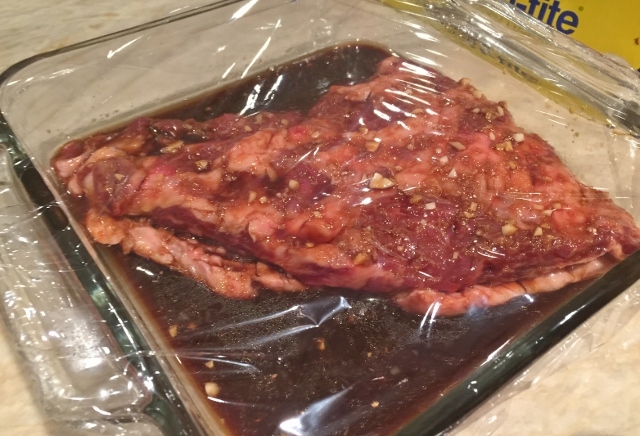 Marinating is the key to grilling, especially if you use a more affordable cut of meat, like Flank Steak. 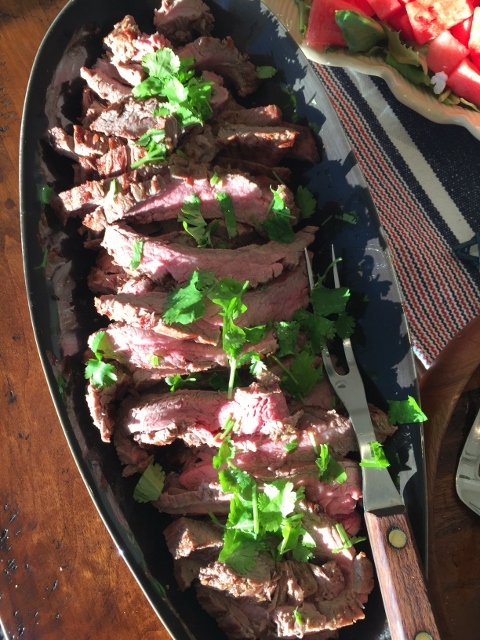 Flank Steak is a fairly lean cut of meat, coming from the lower abdominal area, and the ginger, in this recipe for Grilled Ginger Flank Steak, really heightens the savory taste. Ginger is often seen in Asian recipes, and for good reason, it packs a lot of seasoning. Grated fresh ginger, as opposed to powdered ginger, is usually my preference because it’s naturally spicy with a kick of heat. 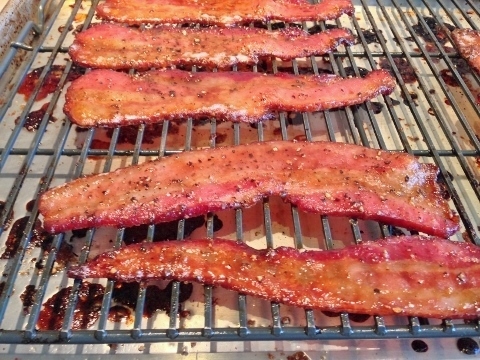 Time in the Marinade — is another factor that plays into great tasting grilled meats. I prefer at least 4 hours, but if you only have a of couple hours, it’s better than nothing. After marinating, you should always pat the meat dry, so it can sear properly on the grill, and rub off any fresh herbs, so they don’t burn. Before grilling, let the flank steak sit out at room temperature for a half an hour, so it cooks evenly, and always rest the meat for 10-20 minutes covered with foil, so the juices stay inside, when sliced. 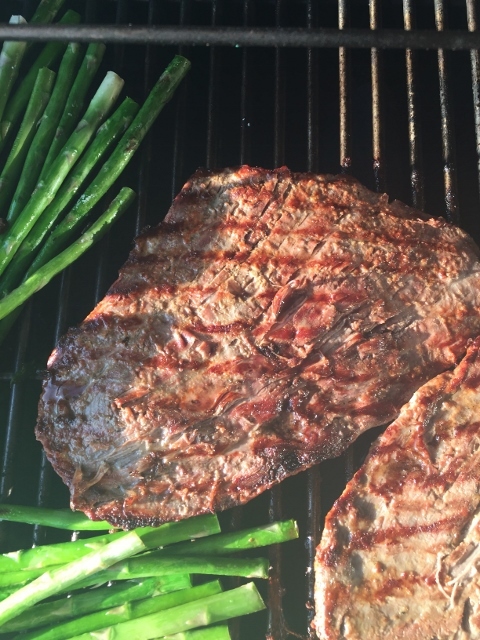 Grilled Ginger Flank Steak is great to serve with salads and other grilled veggies, like asparagus. This recipe is also nice piled high on a toasty bun, for a tasty steak sandwich. Happy Grilling! 1. Place the ginger, soy sauce, garlic, onion powder, cayenne and fresh cilantro sprigs in a casserole dish. Dip the flank steak into the marinade on all sides and place in the dish, cover with plastic wrap. Marinate for at least 4 hours, up to overnight. 2. Preheat the grill to 425 degrees or light a charcoal grill. Remove the Flank Steak from the marinade and pat dry with paper towels. Oil the grates of the grill with a cloth. Place the meat on the grill and cook for 4 minutes, flip over and cook another 4 minutes or until the meat is to your liking. Grill some veggies along with the Flank Steak, why not while the grill is hot?! 3. Remove the steak from the grill and let rest under foil, for 10 minutes. Slice the Flank Steak across the grain, very thinly. Place on a serving platter and sprinkle with additional cilantro. 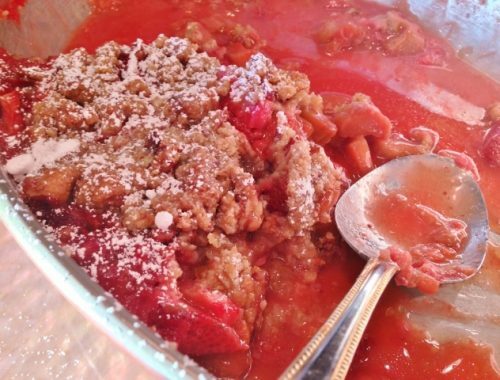 Squeeze lime juice over the top and serve immediately. Enjoy!